Anyone who has grown up watching Yash Chopra movies is bound to have a fascination with snow. Who can forget the melodious songs that the heroines danced to while draped in colourful chiffon sarees against a backdrop of white snow? This romantic image is forever etched in our memory. So, it’s not a surprise that most people regard Switzerland as the best honeymoon destination. If you have not yet experienced snow in your life then it should definitely be on the top of your must-see list. December vacations are just around the corner and it is the best time to catch some snow. And no, you don’t have to go to the Swiss Alps and burn a hole in your pocket. You can experience snowfall in India at a much lesser cost. 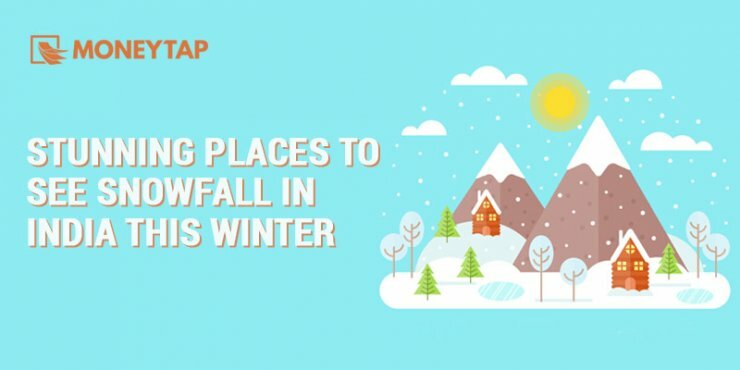 Let us go over a few winter destinations where you can experience snowfall in India. This quaint and tiny town in Sikkim is also an army base. The only places to stay are very basic homestays run by a handful of families. The road through Zuluk to reach Lungthung has about 32 hairpin curves and it makes for a unique photo opportunity. Zuluk is at 3048 meters above sea level. It is one of the most popular destinations of Uttarakhand. Auli boasts of panoramic views of the Himalayan peaks- Nanda Devi, Ghori Parbat to name a few. Auli is peppered with apple orchards and ski resorts. You can try your hand at skiing. The slopes here are suited for both amateurs as well as professionals. You can get to Auli by air or by rail, the nearest airport is Dehradun and Rishikesh is the closest railway station. Auli is at 2800 meters above sea level. The name Munsiyari means a ‘place with snow’. It is the hub for nature enthusiasts, high altitude hikers, and Milam glacier trekkers. It is located on the banks of the river Gori Ganga. This place bustles with tourists who come for the unspoiled scenic beauty that nature offers. Munsiyari is at 2300 meters above sea level. Famous as a ski destination it is touted to be the heartland of winter sports in India. The Gondola ride in Gulmarg is one of the highest in the world. Many movies have been shot in this region which brings in its share of visitors to this city. Gulmarg is 2650 meters above sea level. The land of the high passes is a very popular holiday destination. It has splendid rocky mountain formations that are peppered with white painted stupas. The combination of prayer flags fluttering in the mountain breeze makes this a dramatic view. Ladakh is frozen in December. Winter is harsh with the daytime temperature around -4 degrees and the nighttime temperature dropping to -30 degrees. In some parts, it goes to -30 degrees Celsius during the daytime as well. It is at 3000 meters above sea level. Another favourite destination for snow and trekking enthusiasts is Manali. It is also a long-time favourite for honeymooners. The Solang valley is the ultimate spot for skiers here. Manali is at 2050 meters above sea level. A popular and picturesque holiday destination situated in Himachal Pradesh, the city looks simply gorgeous when it snows here. Deodars and pines surround this mountain city. The scenic landscape here makes for a good postcard picture. Kufri is at 2800 meters above sea level. This small town in Arunachal Pradesh turns completely white and beautiful after the heavy snowfall in January. This is perfect for those who want a less crowded city. It is a Buddhist town and is home to the largest monastery in India. Tawang is at 2670 meters above sea level. When you get to the destination of your choice which gets ample snowfall in India, do not forget to indulge in snowball fights. Try your hand at making a snowman – all you need are two black buttons, a carrot and some twigs for arms. For the more adventurous, you can try your luck at skiing. Pack plenty of warm clothes, even in summer, as you never know which way the weather will turn.